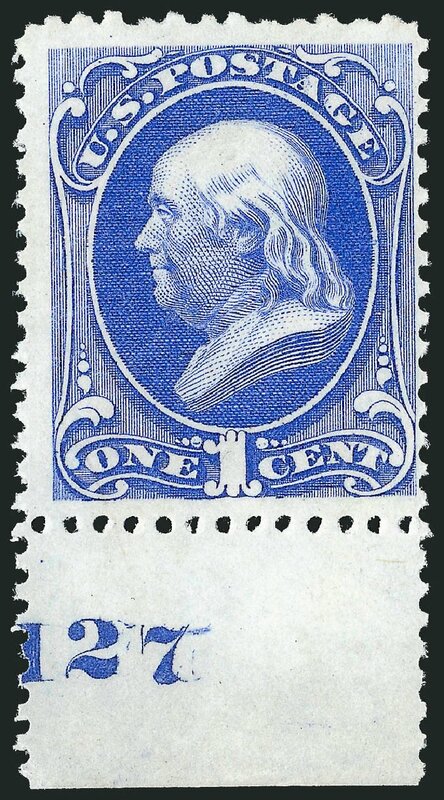 1c Ultramarine, Special Printing (167). 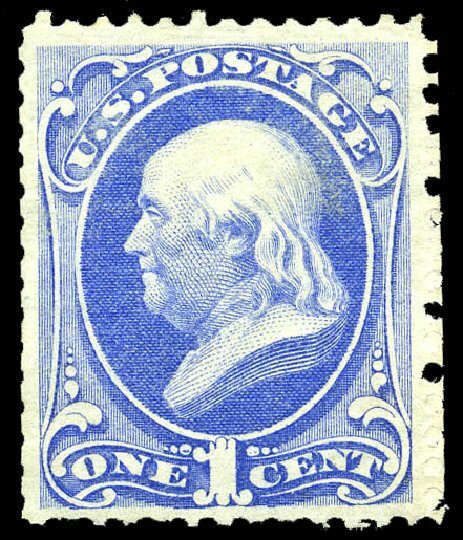 Without gum as issued, scissors-separated as usual with perfs virtually intact on three sides, brilliant color, small thin spot at top VERY FINE APPEARING EXAMPLE OF THE ONE-CENT 1875 CONTINENTAL BANK NOTE COMPANY SPECIAL PRINTING. Our census of Scott 167 contains 45 certified examples. Of these, fewer than ten have perforations all around. Census No. 167-UNC-14. With 1980 S.P.A. certificate. PFC 77990 and 255061 no longer accompany. 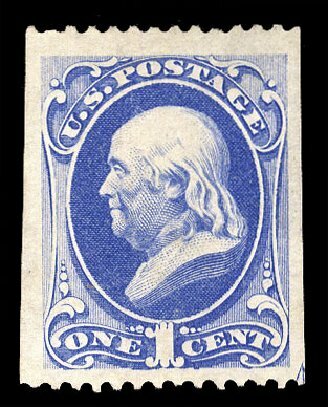 1c Ultramarine, Special Printing (167). Without gum as issued, scissors-separated as almost always but with full perforations on two sides, bright color and paper, small expert repair at lower right not readily apparent VERY FINE APPEARING EXAMPLE OF THE ONE-CENT 1875 CONTINENTAL BANK NOTE COMPANY SPECIAL PRINTING. Our recently updated census records for Scott 167 contain 45 certified examples. Unpublished Census No. 167-UNC-30. With 1973 A.P.S. certificate. PFC no. 36353 which states “genuine, slightly toned and with a small piece out at bottom” no longer accompanies. 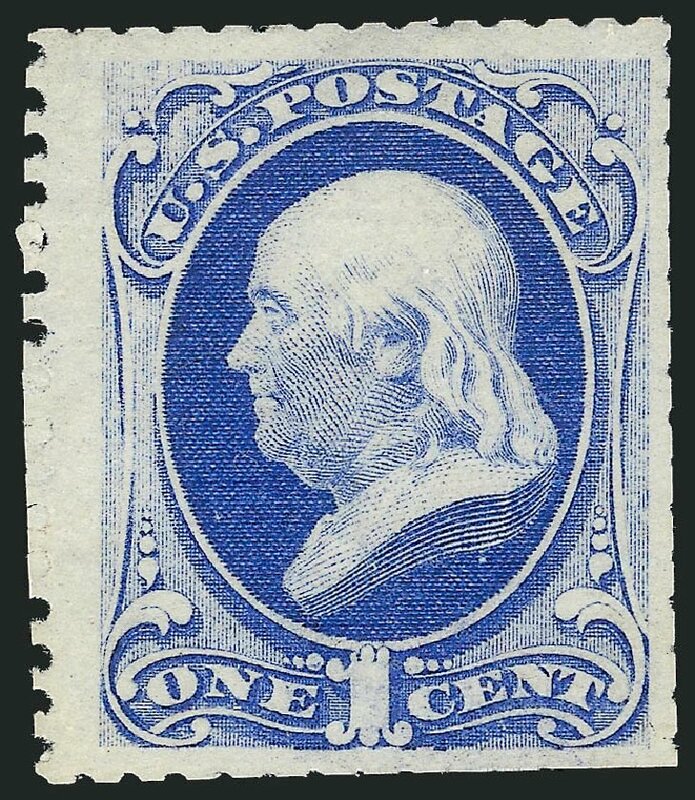 * 1¢ ultramarine, 1875 Special Printing (Scott 167), beautifully centered with bright, vibrant color on crisp white paper; usual scissor-trimmed but relatively intact perforations; without gum as issued, small thin spot at top, fresh Very Fine appearance (photo). 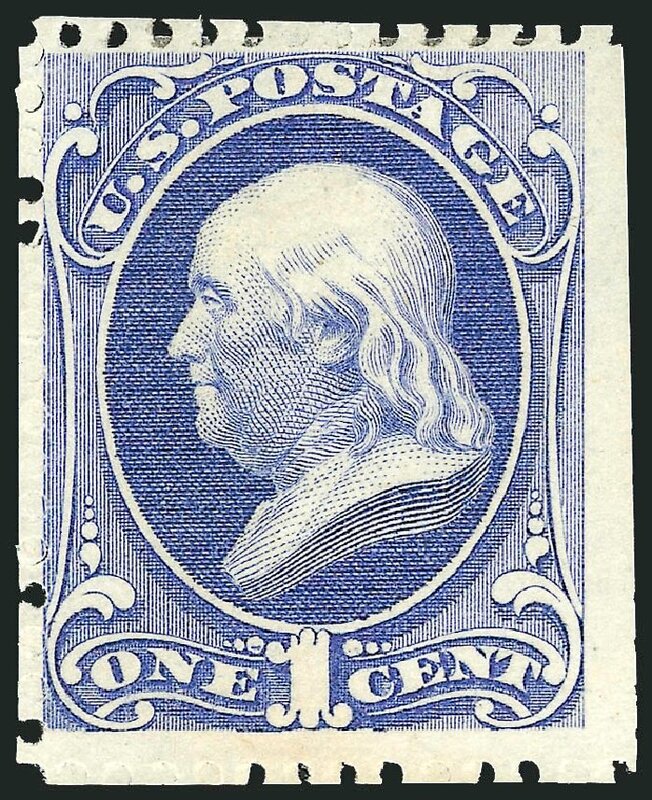 $17,500 ONE OF ONLY ABOUT 50 EXAMPLES OF THE 1¢ CONTINENTAL SPECIAL PRINTING RECORDED. Expertization: 2001 APS and 2002 P.F. Certificates. Provenance: “Liberty”. 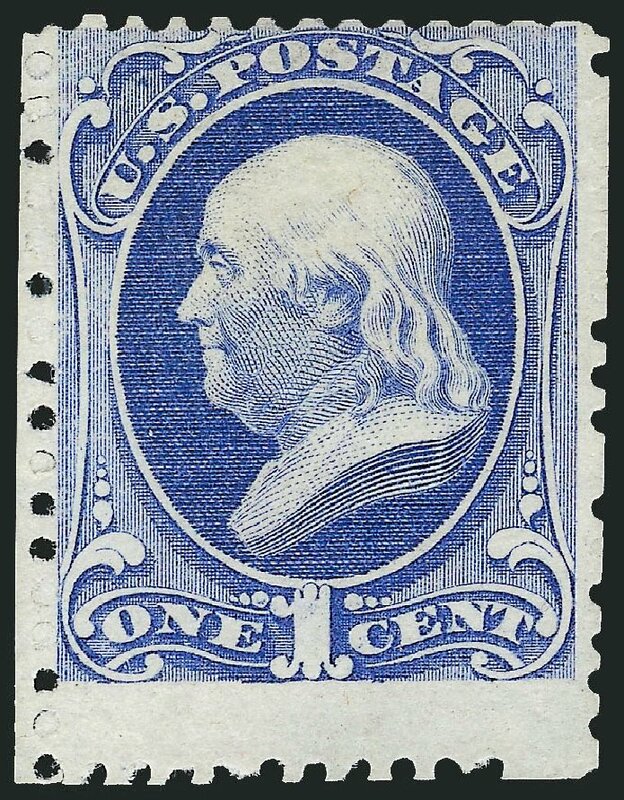 1875 Special Printing, 1¢ ultramarine (167), without gum as issued, remarkably fresh and choice example of this major rarity, the one cent 1875 hard paper Special Printing, with breathtaking color and razor sharp impression, a flawless example in immaculate condition, Fine, a mere 44 or so examples are known to exist, 1948, and 2013 P.F. certificates. Scott $17,500. Estimate price $5,000 – 7,500. 1c Ultramarine, Special Printing (167). Without gum as issued, virtually complete perforations all around, bright color and paper VERY FINE AND CHOICE. 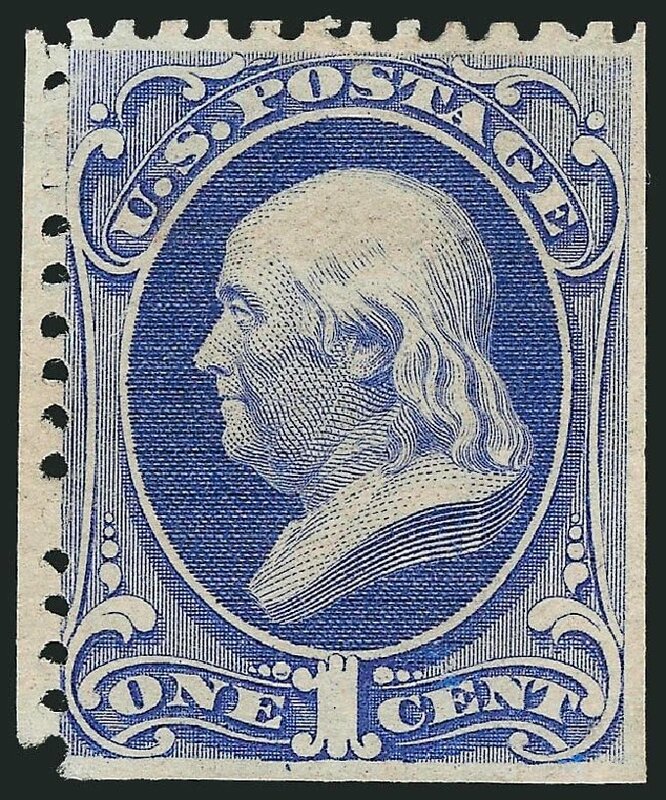 AN EXCEEDINGLY RARE EXAMPLE OF THE ONE-CENT 1875 CONTINENTAL BANK NOTE COMPANY SPECIAL PRINTING WITH PERFORATIONS ALL AROUND. Our recently updated census records for Scott 167 contain 44 certified examples. Of these, fewer than ten have perforations all around, including one with plate number selvage offered in our recent “Cloudrest” sale and one with part imprint selvage. Unpublished Census No. 167-UNC-09. Ex Hewitt. With 1983 and 2001 P.F. certificates. 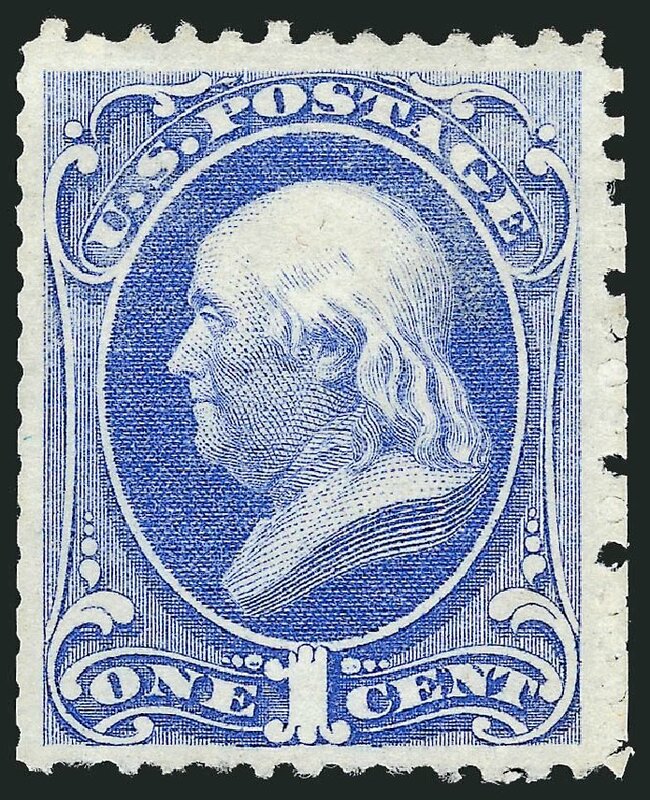 1c Ultramarine, Special Printing (167). 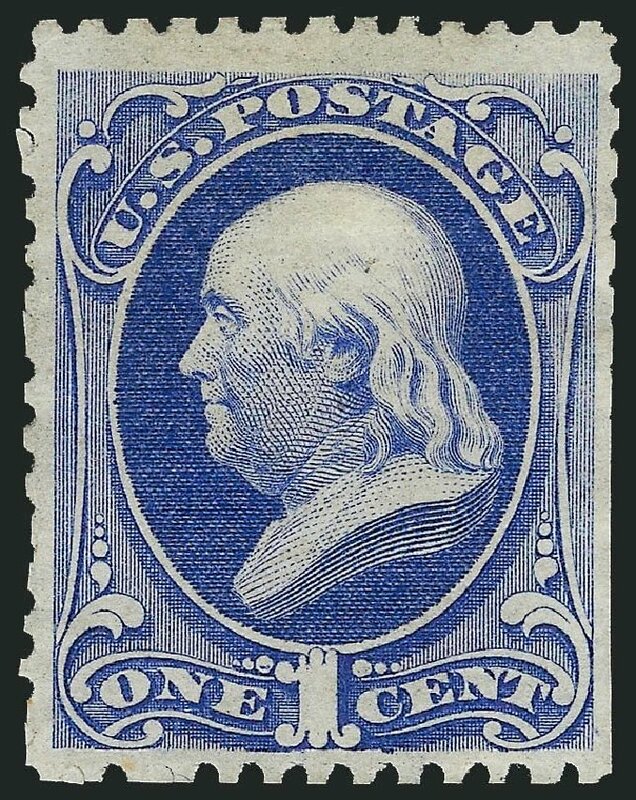 Without gum as issued, full perforations all around and plate no. “127” in selvage at bottom, rich color on bright paper VERY FINE. THE UNIQUE PLATE NUMBER EXAMPLE OF THE ONE-CENT 1875 CONTINENTAL SPECIAL PRINTING. Our recently updated census records for Scott 167 contain 44 certified examples. 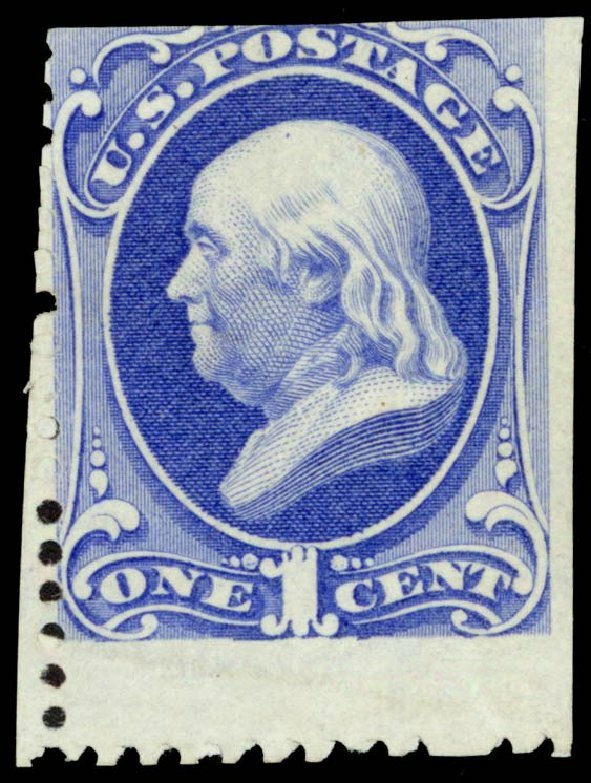 Of these, fewer than ten have perforations all around, including the example offered here and one with part imprint selvage. Ex Earl of Crawford and Ackerman. With 1996 P.F. certificate. 1875 Special Printing, 1¢ ultramarine (167), beautifully centered with bright, vibrant color on crisp white paper; usual scissor-trimmed but relatively intact perforations; without gum as issued, small thin spot at top, fresh Very Fine appearance. 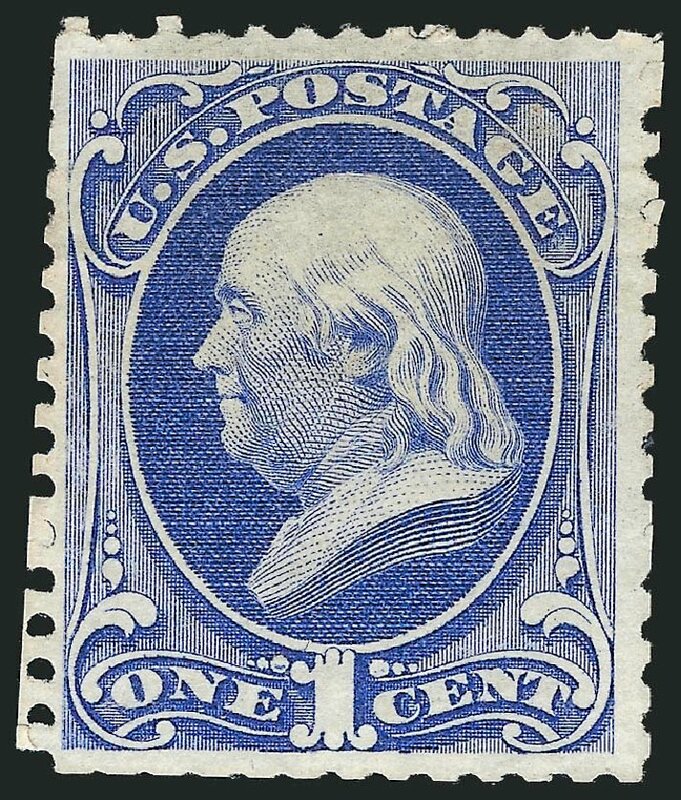 Scott value $17,500 ONE OF ONLY ABOUT 50 EXAMPLES OF THE 1¢ CONTINENTAL SPECIAL PRINTING RECORDED. Expertization: 2001 APS and 2002 PF Certificates.